Oh wow I love everything in this blog! @Cassie-James @Kia-Williams @Serena-Bass @Constantine-Vale @Borja-Domecq Thank you guys, I'm glad it has fallen in taste with several of you! Looking forward to posting more - starting now!! With a new forum, a fresh start follows! In this case, I'm referring to changes in my jumper team. 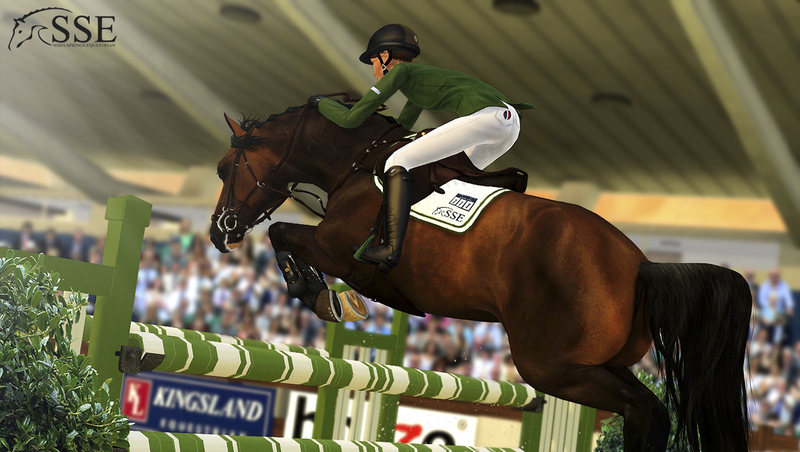 A lot of the horses that have, for a long time, been iconic to the SSE jumper team, have now retired from sport. The reason for this is solely the fact that they have reached their top level and we wanted them to retire while still on top of their game. Don't fret - they have not been sent away from our facilities! Most of them will be used in our breeding program, and they will all live out their lives as happy retirees on our pastures in the years that follow ^^ By retiring these top jumpers, we make room in the team for their successors - now it's their turn! SSE The 2nd Law, more commonly known as "Lobster", or "Lobs" for short, has for a long time been one of our pioneer Holsteiners. The tall and handsome black stallion has struggled with superficial digital flexor tendinitis for longer parts of his active jumper career. Even though we always followed it up thoroughly, the injury always seemed to come back. He was therefore retired a little while ago, while he was still healthy and well from his last recovery period. Now he works as a full-time dad, to put it like that - he has sired three offspring so far (among SSE Beretta and one of our new team horses SSE Kudos), and there's more to come. With his strong genes and great physique, Lobs plays an important part in breeding our Holsteiner lines, and his offspring have so far had outstanding show results and success along with stunning conformation. One of our oldest team members, both in terms of age and years on the team, is SSE Appendix. "Apple" has been quite well-known for his very freckled fleabitten coat, and he has been under several riders in his career. Mandy started out with him as a youngster, and then he was then leased out to Merida Dahmer for quite a while. 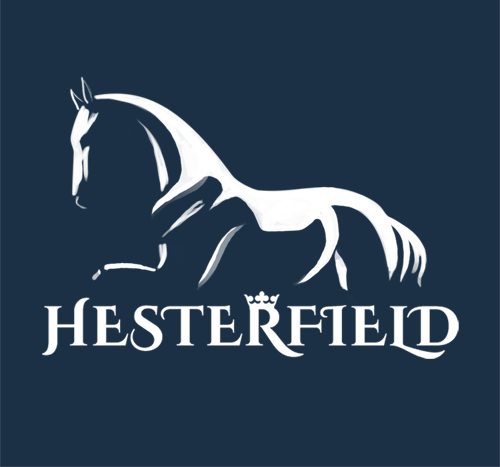 After a successful stay at Hesterfield, Apple was returned to us and became our rider London Carr's mount. The two were a match made in heaven and they've been a star combination ever since. After a long and great career, with a highlight being a Grand Prix win during the first Lucky Palms show, we decided to retire the fleabitten gelding. He will enjoy his remaining years at SSE, having fun and jumping a little with London from time to time without going to the big competitions. "Moody" is one of the most renowned offspring from our successful stallion SSE Winter Is Coming ("Snow"). He has been the faithful mount of Mandy's for quite some time. 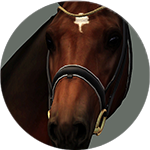 After being sold to Skyler Carson, who after his youngster years was forced to the sad decision of having to sell him, he came back to us and has become one of our most contributing stallions of all time. Moody won the huge Grand Prix at the Bridgeport International Show, to mention one significant merit, and he placed well in most shows he ever entered. 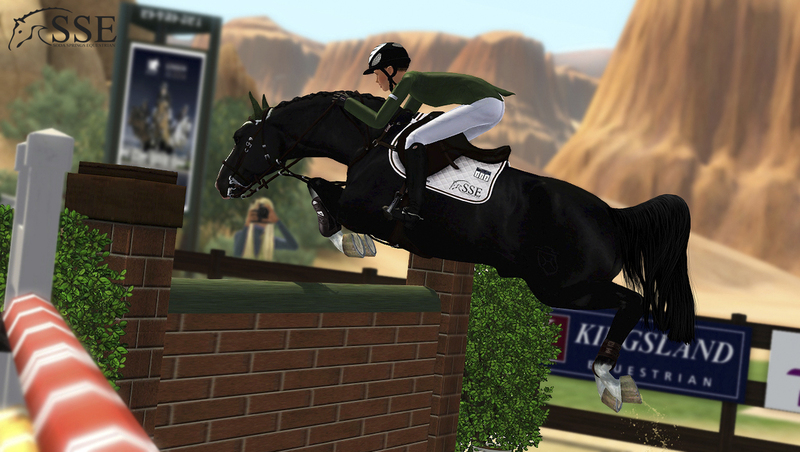 His time as a top jumper was been an adventure that we will never forget. 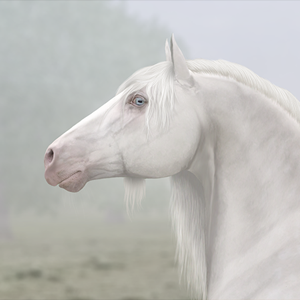 Nowadays he has an important role was successor of an iconic breeding stallion - his father Snow - and he will secure that his father's and his own good lines are handed down to the next generation. Among the three offspring he has sired so far, Merida Dahmer's SSE Sundial has been the most successful up to this point. This fair lady is daughter to the above-mentioned SSE The 2nd Law. Beretta has been a true ribbon machine - among a great number of show wins, her victory at the Lucky Palms II Grand Prix is the most memorable of them all. Even though Mandy and Beretta have been a killer combination for a long while, it wasn't always so. It took a long time before they really figured it out together, but when they finally did, they were quite hard to beat. Beretta is, alongside her dam SSE Femme Fatale (who is also one of SSEs best jumpers of all time), SSEs best jumper mare until this day. It will be exciting to see what mare takes her place in the team. Beretta will now be a broodmare for a while before fully retiring. She has already had one foal earlier in her career, SSE Red Wedding, who was been just as successful at the shows as herself. With this in mind, we're excited to see what super-offspring she produces next! Last, but not least, is our darling SSE Cameo. 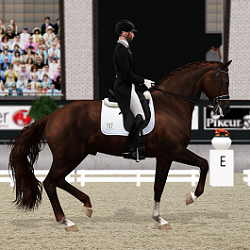 Cameo is our first homebred Holsteiner and he has exceeded all expectations. He is also out of the iconic SSE Femme Fatale, like his half-sister Beretta, and with his swift and effective jumping technique he often came home with great show results. Cameo has been Mandy's ride since he was a youngster and they have had a great cooperation. Mandy knows him better than any other horse in the team and she knows his every button. A merit worth mentioning is his 2nd place at the Moonlight Falls I Grand Prix. 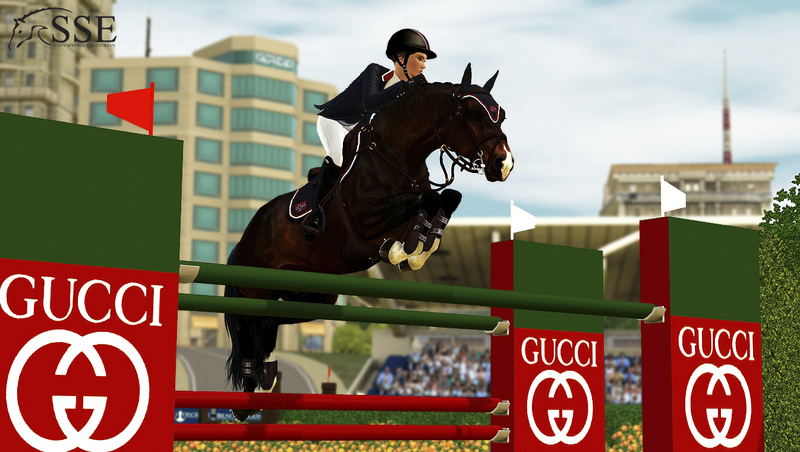 Cameo has had two offspring so far, one of which is a Grand Prix-level stallion named SSE Continental that currently is leased into our team from his owner Julianna Croft. 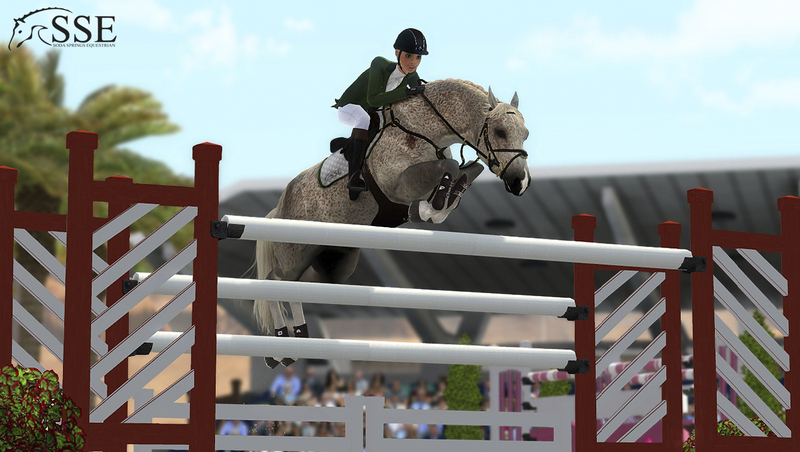 We have a lot of breedings planned for Cameo and we do hope that these offspring, too, like Continental, inherit their sire's excellent jumping qualities. I remember seeing some of these horses as youngsters! It's so awesome to see how far they've come in terms of their career! 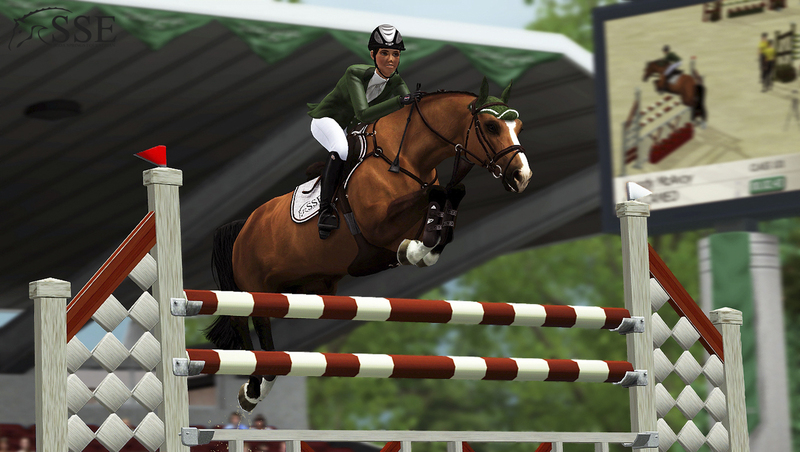 You certainly have some of the most upstanding show jumpers around! I'm gonna miss seeing Moody in shows, he's one handsome guy with his dark coat and dapples The retirement is well deserved to all of them though! @Johanna-Masters Yes, wow, it's amazing how fast time flies!! It feels like it isn't too long ago that I posted Cameo's foal pictures And thank you, I really appreciate that - that's what I aim for! @Annie-Emerson Aww, me too! All these horses, really. Weird to suddenly have retired all my Grand Prix pons! But definitely well deserved, indeed! Ahh, even though I've seen these photos already they are still nice to see again with such descriptions! I love your editing style! @Daria-Burtseva Hihi, thank you They certainly have made me proud. A well-deserved retirement is the only thing I could give them in return And hey you, you don't need to, I've already written up a breeding for you, remember? @Lidija-Rotherford Thank you, I do love to do some writing while I'm at it, you know? Thanks a lot! AH these pictures keep amazing me every time i see them! They are sooo goooodd!! Love your editing style and realism you put in every shot. Cant wait to see new edits from all of your pretty pons. And looking forward to see what you plan for your breeding season Will be some killer show jumping babys! @Jasmin-Mikaelson Daww, Jasmin, that's so sweet of you to say, thank you so very much!! 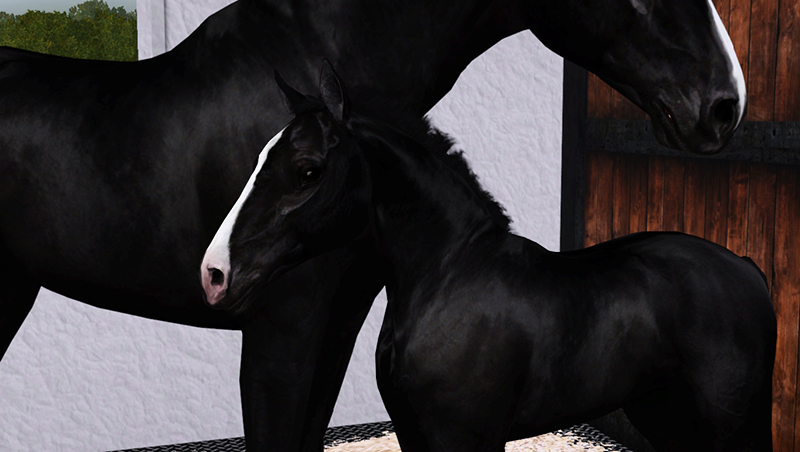 Hehhe, I also look forward to my breedings - breeding new horsies is always fun!! @Erin-Cooke Thanks, hun, and I totally agree! Even though retiring a larger number of our top jumpers is a bit sad and weird, we're excited that some of our other horses are finally getting a chance to show what they've got. One of these horses is SSE Matchless (SSE Winter Is Coming x Casablanca), our handsome grey Hanoverian stallion with the sturdy neck. Due to the previous owner's interest, Match hadn't competed much before he came back to us a good while ago. 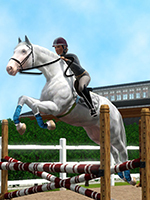 He has since then been an active competitor in our jumper team. Match is a calm soul with gentle heart, but he gets very territorial if other stallions pass by and he can show a bit more aggressive side than what one usually sees. We have to be careful with not taking him out of the stable at the same time as the other stallions or he will riot. He is to be handled carefully but confidently. Match is definitely the horse you'll cuddle with for hours when you should rather hurry and saddle him up right before competition. Cuddling is his favorite activity, and he especially loves to be scratched gently on the muzzle. If you scratch him on the neck, he scratches you back. As Match can get quite bored sometimes and kick on his box door, he gets a hay net to keep him occupied. Mandy had just hung up a full hay net and was about to take him out of the box to saddle him up when Match decided it was time for some cuddling. She couldn't resist staying a couple more minutes and ended up giving him some sugar cubes, hoping none of the other horses noticed.